A business is only as strong as the people that you hire to run it, and in order to engage your industry’s top talent, you need a robust recruitment strategy. Whether you are creating a new recruiting process or making your current one more efficient, our guest today will advise us on attracting and retaining the very best employees for your small business. On today’s show, we speak to Mike Gomez, founder, and president of Allegro Consulting. 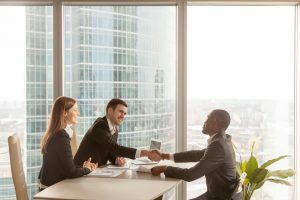 In Mike’s latest article, The Inextricable Link Between Sales Success and Corporate Strategy (working title), he tackles what happens when startups need to hire their first salesperson. You will be investing your time and resources into this individual and you hope that they will be producing the revenue to cover their cost and then some. In Mike’s experience, the reason that salespeople fail is not that they are bad at their job, but because of the owner not providing the adequate tools for the salesperson to be successful. According to Mike, a business owner will typically know within the first two and a half to three weeks, whether or not he or she made a good hire. Are they following your guidance? How is their work ethic? What questions do they ask? These are all important things to consider. Mike recommends going with your best instinct. Have a written strategy: A clear understanding of who we’re trying to serve and who we’re targeting. Understand what your customers value and see as a competitive alternative. What makes your company different? Understand what sets you apart and helps you stand out. Then you must equip your new salesperson with a clear and comprehensive sales process. If you have done all of these things to the best of your ability, and your new hire is still not capable of selling, let them go. You’ve done your job as the owner in giving that person every chance to be successful.